Some photos taken at the celebrations that took place on the 22nd March 2019 based at Castleton Youth Hostel. There was a good showing from the Manchester & Salford group, with a few others from New Mills, Wigan, Sheffield, and the Disabled Ramblers. It was also good to meet up again with Yvonne, Maxwell and others from MOSAIC. 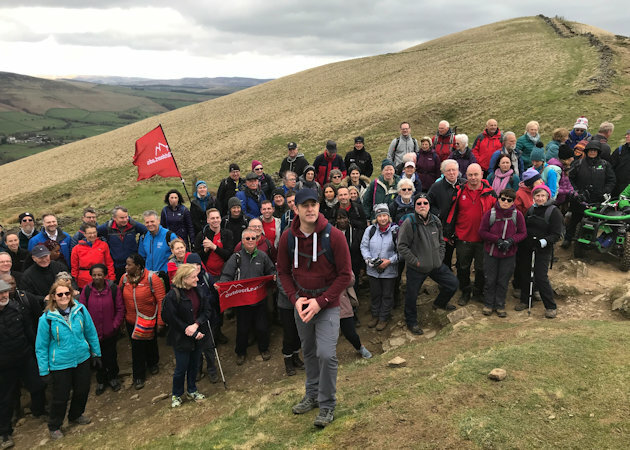 A celebratory walk took place from Castleton to Hollins Cross and back in the company of BBC Countryfile presenter, Matt Baker. 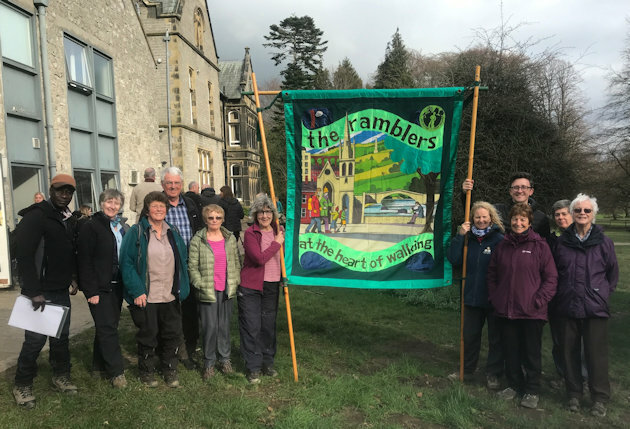 The Bolton group's pioneering work for the Ramblers' Don't Lose Your Way campaign has been recognised by the Bolton News. To read the article, click here. Over 300,000 people have now signed this petition (there's a link on our Links page under Campaigning). In addition, the National Trust has stated its support for a Traffic Regulation Order, see here. 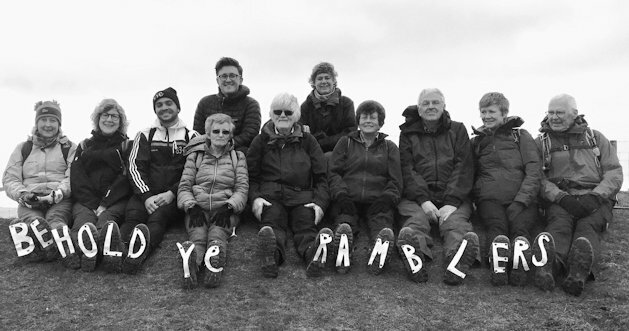 Ramblers were at Castleton to celebrate 70 years of the National Parks. The BBC were also there to record the event, which can be seen as part of the Countryfile programme scheduled to be shown on Sunday 7th April. Photos from the event can be found on our Events page. The Walk Ride GM Campaign was launched at the end of last year with the aim of making walking and cycling the natural choice for everyday journeys across Greater Manchester. The Area expressed support for the initiative and we have been well represented at each of the two public meetings that have so far been held. A number of local groups have been established. A link to their web site can be found on our Links page under Campaigning. Ramblers in the Greater Manchester and High Peak Area have responded to the consultation on the Greater Manchester Spatial Framework – the GM plan for jobs, homes and the environment. To read our Submission, go to the Publications page. A PDF copy of the new area walks programme is available under the Publications page. 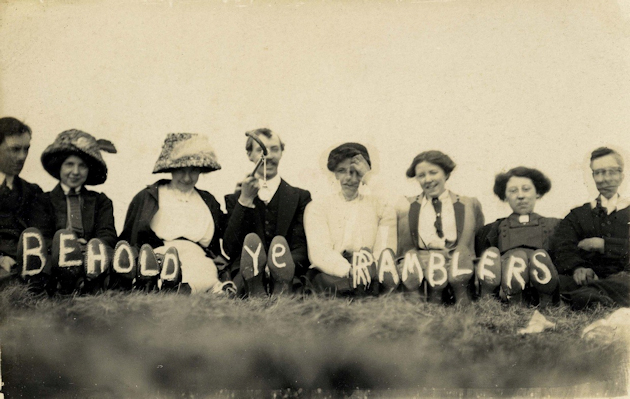 The Ramblers’ Association is a company limited by guarantee, registered in England and Wales. Company registration number: 4458492. Registered Charity in England and Wales number: 1093577.